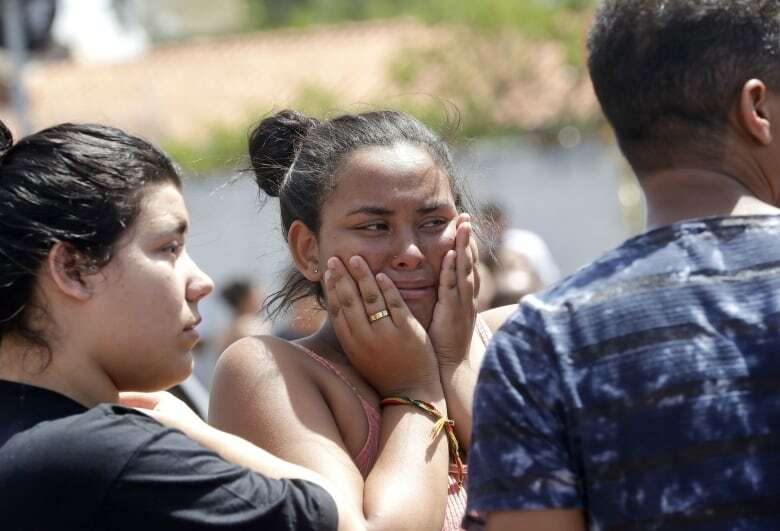 Two masked men armed with a gun, knives, axes and crossbows descended on a school in southern Brazil on Wednesday, killing five students and two adults before one killed the other and then himself, authorities said. 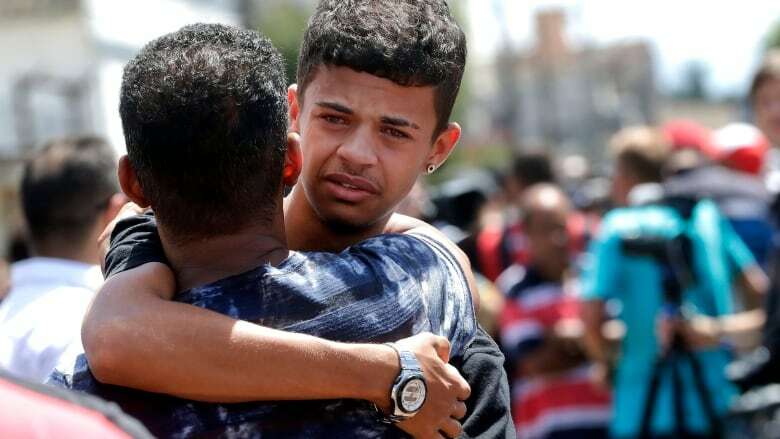 The men, identified as former students at the school, ages 17 and 25, also shot and killed the owner of a used car business nearby before launching the attack on the school in Suzano, a suburb of Sao Paulo, Brazil's largest city, authorities said. "This is the saddest day of my life," de Campos said. "The big question is: what was the motivation of these former students?" de Castro said. The 17-year-old opened fire with a .38 caliber handgun and the 25-year-old used a crossbow, de Campos said, adding that forensics would determine how the victims died. Authorities said they were also carrying Molotov cocktails. "In 34 years as a policeman, it's the first time I've seen someone use a crossbow like that," police Col. Marcelo Salles said. "It is horrendous." The attackers were trying to force their way inside a room at the back of the school where many students were hiding when police arrived. Instead of facing police, they turned their weapons on themselves, authorities said without elaborating. The 17-year-old's mother, Tatiana Taucci, offered a possible answer, telling Band News while hiding her face from the camera that her son had been bullied at the school. "Bullying, they call it ... He stopped going to school ... because of this," she said. Minutes before the attack, the teen had posted 26 photos on his Facebook page, included several with guns and one that showed him giving the middle finger as he looked into the camera. By Wednesday afternoon, Facebook had taken down his page. 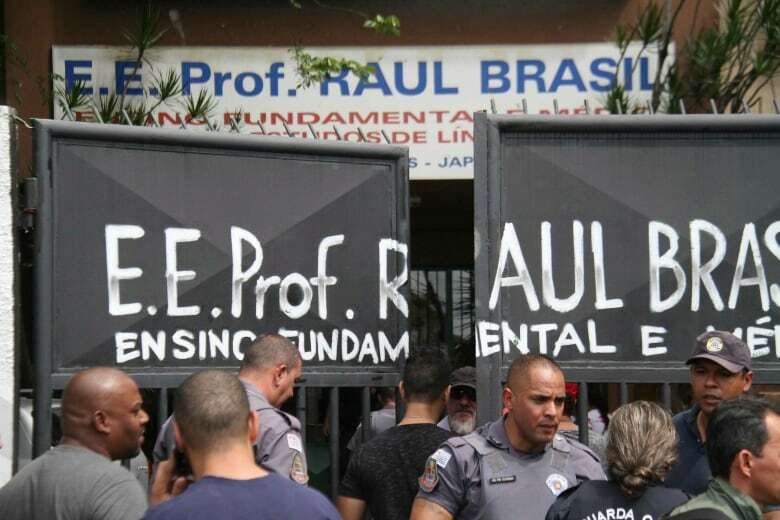 The public school, RaulBrasil Professor (translated in English), has more than 1,600 students from elementary to high school grades, teachers said. Students gathered outside the school recounted harrowing attacks and seeing several bodies lying in pools of blood. 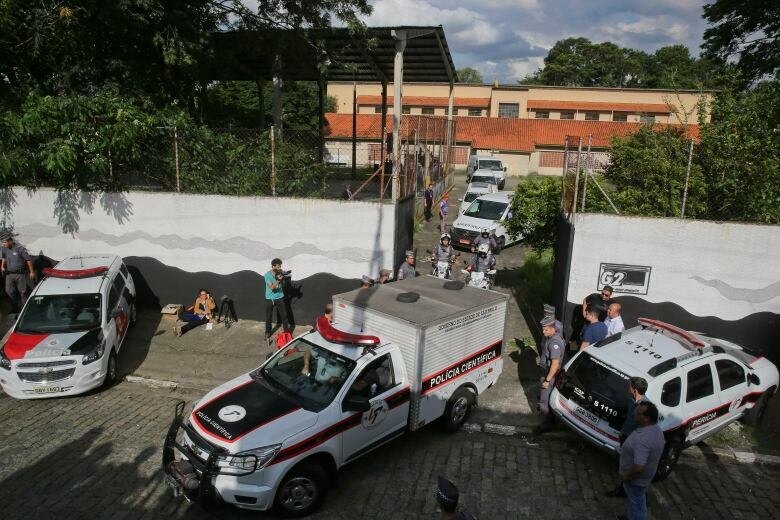 "We were at recess and eating like normal, and we heard three pops, then we tried to run to jump over the walls," Rosni Marcelo Grotliwed, 15, told G1 news portal. "My friend was stabbed in the shoulder and my other friend was shot," she said. "I escaped with one friend and went home and then came back to look for another friend." Latin America's largest nation has the highest number of annual homicides in the world, but school shootings are rare. President Jair Bolsonaro ran on a platform that included promises to crack down on criminals, in part by expanding public access to guns. Soon after his Jan. 1 inauguration, Bolsonaro issued a decree making it easier to buy a gun. "We can't let those who take advantage of this tragedy speak about how disarmament is the solution," he tweeted, adding: "Weak and shameful 'disarmament farce,' which gave guns to criminals and prevented self-defence."